The doctors of Santa Clara Vision Center are members of the American Optometric Association (AOA), the California Optometric Association (COA), and the Santa Clara County Optometric Society (SCCOS). ﻿​Dr. Hsu Was Born in Taiwan and immigrated to Burbank, California with her family in 1984. She graduated from U.C Riverside with a Bachelor of Science in Biochemistry and received her Doctor of Optometry in 1998 from the Southern College of Optometry in Memphis, Tennessee. Prior to relocating to the Bay area in 2008, she worked for a family private practice in San Gabriel, California. Her interests include specialty contact lenses fitting, laser vision correction co-management, and treatment of ocular disease. She's fluent in Mandarin and Taiwanese. Dr. Hsu lives in Sunnyvale with her husband. They enjoy dining out, cooking, traveling, watching movies and hanging out with friends. Dr. Neunzig is a California native, and was born and raised in the Bay Area. Originally from San Jose, he grew up in Morgan Hill, where he attended Live Oak High School and graduated in 1991, with honors. He performed his undergraduate studies at the University of California at Davis, majoring in Biological Sciences, with the goal of pursuing a career in the medical field. Along the way, he became interested in optometry as a potential career, and decided that it would be the perfect fit for him, offering an opportunity to make a significant positive impact in peoples' lives. He focused his academic efforts toward that goal, pursuing the course of study necessary to gain admission into optometry school, and began assessing the strengths/benefits offered by each of the 13 schools of optometry in the country at the time. The Southern California College of Optometry (SCCO) was immediately appealing, offering its students hands-on clinical experiences, much earlier in the educational process, and exposure to patients in far greater numbers compared to the other schools. The choice was an easy one. Dr. Neunzig completed his undergraduate education at Davis and received his Bachelor of Science degree in Biological Sciences in 1996, with his acceptance letter for SCCO already in hand. His decision to pursue his training at Southern California College of Optometry proved to be a good one. While there, he had the opportunity to experience working with a variety of patient populations, offering a variety of challenges. In his final year he selected externship locations which he felt would best round out his clinical education, and would also bring him personal satisfaction through helping underserved populations that needed help the most. A 3 month externship on an Indian Reservation in Warm Springs, Oregon introduced Dr. Neunzig to a population of Native Americans with an extremely high prevalence of diabetes mellitus and diabetic eye disease, and other eye and systemic complications resulting from poor dietary and various lifestyle choices and/or limitations. At the Veterans Administration eye clinic in West Los Angeles, another externship location which was specifically chosen for the various challenges presented by its patients, Dr. Neunzig had the opportunity to deliver eye care (and to say "thank you") to some of America's veterans, for whom he has tremendous respect and appreciation for their contributions and sacrifices through their service to our country, and which, at that location, was a population of advanced age, some with advanced eye diseases and vision loss resulting from multiple processes. It was one of many experiences that Dr. Neunzig credits for contributing extensively to his optometric knowledge and to his chair side manor that could only be gained working with different types of patients. In May of 2000, with well over 1000 patient encounters logged, Dr. Neunzig graduated from Southern California College of Optometry with honors, receiving his Doctor of Optometry (O.D.) degree, and was granted admission into Beta Sigma Kappa International Optometric Honor Society "for outstanding academic achievement..."
Upon successfully passing the State Boards required for licensing in both California​ and Colorado and demonstrating proficiency in The Treatment and Management of Ocular Disease, Dr. Neunzig was certified by both the California State Board of Optometry and the Colorado State Board of Optometry to practice full scope optometric care, including certification for the use of therapeutic pharmaceutical agents in the treatment of the eyes. After a very brief exposure to employment in a corporate optometric setting, Dr. Neunzig decided that a private practice setting would be much more conducive to the level of care he wanted to deliver to patients. Dr. Neunzig joined Santa Clara Vision Center in July of 2003 as an associate doctor. He became a partner in Santa Clara Vision Center at the beginning of 2005. Dr. Neunzig practices full scope general optometry with special interests in fitting contact lenses, and LASIK (laser vision correction) co-management. He is California Optometric Board certified to diagnose and treat disorders and diseases of the eyes and visual system. When he has free time, Dr. Neunzig enjoys playing golf, mountain-biking, snowboarding and wakeboarding, camping and hiking, and spending time with friends. He is currently accepting new patients of all ages. Dr. Portman grew up in Michigan and graduated with honors from Michigan State University with a degree in microbiology. He received his doctorate degree of Optometry from the Illinois College of Optometry in 1983. After graduation he was commissioned a Lieutenant in the U.S. Navy, stationed at Moffett Field Naval Air Station and at Oak Knoll Naval Hospital. 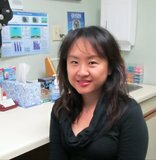 After serving 3 years as a Naval Optometric Medical officer, Dr. Portman became a partner at Santa Clara Vision Center. Dr. Portman received his postdoctorate training for the treatment of ocular pathology from U.C. Berkeley. He is fully California optometric board certified and licensed to diagnose and treat diseases of the eye. Dr. Portman is a member of the American Optometry Association, California Optometric Association, and is an active member of the Santa Clara County Optometric Society. Dr. Portman's hobbies include skiing, bicycling, golf, and chasing his two boys, Alexander and Nicholas. Dr. Portman and his family live in San Jose. Dr. Scharff was born in Israel and grew up in New Jersey. She graduated with honors from Wesleyan University in Connecticut, with a Bachelors of Arts degree in bio-psychology. She moved to California to attend optometry school and earned her optometric degree from UC Berkeley School of Optometry. Dr. Scharff has been working as a family practitioner with Santa Clara Vision Center Optometric Group since graduating from optometry school in 1988, and became a partner in 1990 . Her specialty interests include contact lenses, pediatrics, and laser vision correction. She is fully certified by the California Board of Optometry to diagnose and treat ocular disease. Dr. Scharff is active in the Santa Clara Optometric Association, the California Optometric Association, and the American Optometric Association. She has also served as a board member of the Palo Alto Jewish Community Center. She speaks Hebrew fluently and can understand French. Dr. Scharff lives in Palo Alto with her husband Greg, where they raised two daughters and one son (Laura, Emily and Jason). Together they enjoy traveling the world as well as hiking, biking and tennis. Our friendly, dedicated, and knowledgeable support staff have been with us for as long as 30 years. These are the people who schedule your appointments, help you select and adjust glasses, train you how to use your contact lenses, bill your insurance, and much more to ensure your eye care needs are met to your satisfaction.